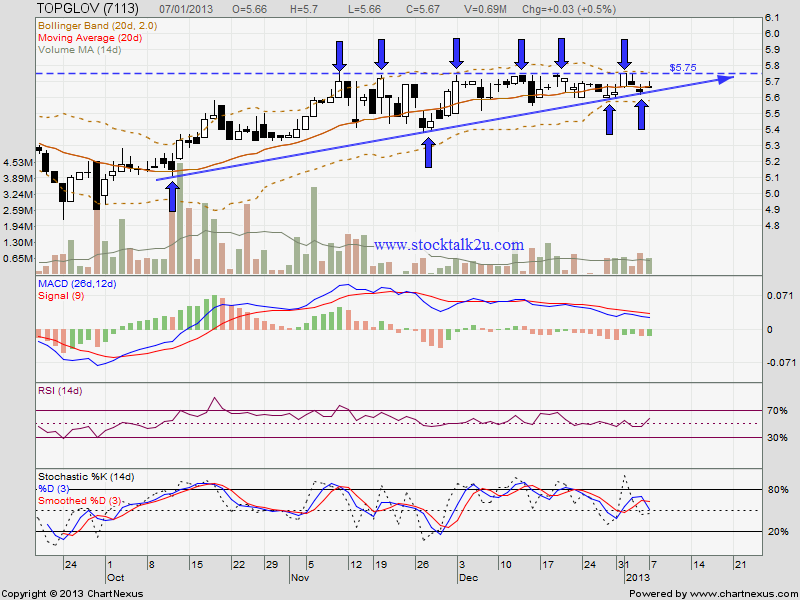 TOPGLOVE forming ascending triangle pattern. 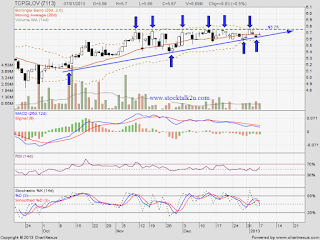 High potential it might retest RM5.75 resistance again. If bull strong enough, this round it will break through & go higher. If retrace down, it might retest lower triangle support level.